Today is an EXTRA Special challenge over at Addicted to Stamps and More. We have some changes happening with the challenge on our end! Our Design Team has grown (almost doubled in size) and so each week we will have at least 10 of us sharing our creations to inspire you all to play along! This week is Team A's turn and though I am technically on Team B I just could not pass up the chance to work with a super cute image from StampArt Designs :) This week is our Make Your Mark challenge, so break out those markers, get crafty and show us what you got! 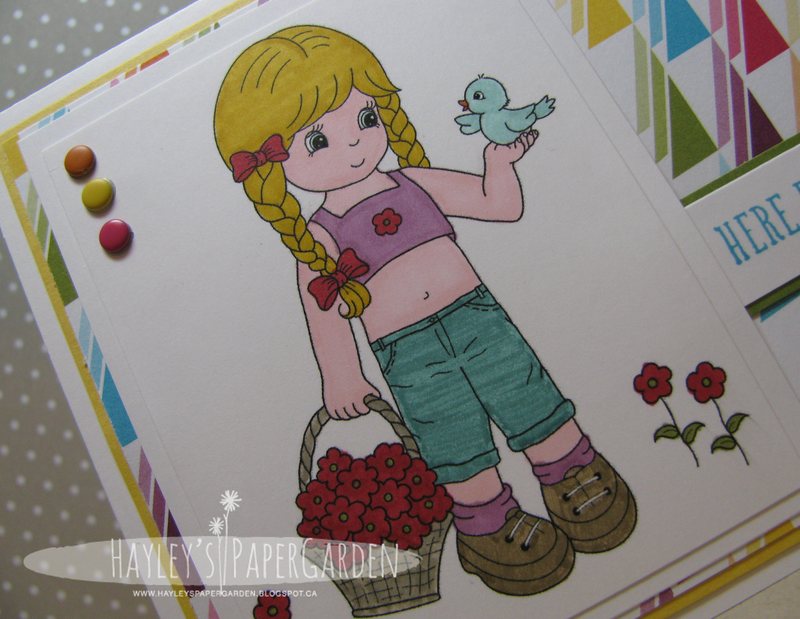 Hayley, you picked such a sweet image and colored it so well! Simply adorable card! I really love how you colored this darling image, Hayley! Your color combo is so pretty and I love your choice of patterned papers, too! Really cute! This is so sweet, and that little birdie is bound to brighten someones day! Hayley, this is such a lovely image and so beautifully coloured too. I love the pretty papers. Your friend will love this card. Hi Hayley - so happy to be on the team with you- this is just so cute! What a cute image! I love the bright colors and that DSP is fab!